note: we will be using llvm instead of gcc since emscripten is llvm only! to test emscripten a simple ‘hello world’ example was created. -s ALLOW_MEMORY_GROWTH=1 \ # importatnt! check your webserver has compression enabled! this is how we at nixcloud set up mod_deflate for apache, which curiously is not a default option. this reduces the 30mb download to 6mb only! i especially wanted to thank aidanhs, the author of empython, for all his time with very valuable hints on how to address my problems. 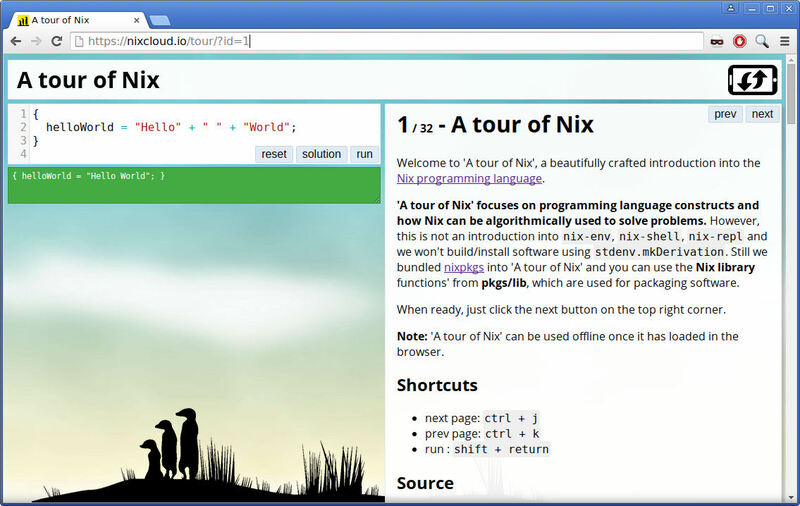 happy nix-learning from paul and joachim! also thanks a lot for the irc support on emscripten from: irc.mozilla.org#emscripten!